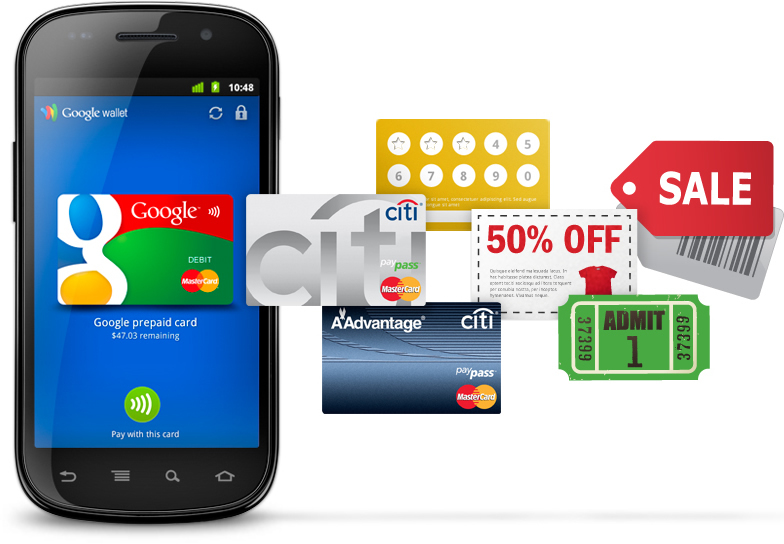 One of the world’s leading IT-industry, Google has decided to permanently settle in the mobile payment systems. Google Electronic Payment System was started rather late, in 2011. Nevertheless, the company is actively engaged in business not only in the field of Internet services, but also in the mobile sector (this is the most common worldwide OS smartphone Android, and develop their own portable electronics), collected in the years to compete with local companies representing services in the area of electronic commerce. In order to make the payment, you will need a smart phone which supports NFC technology that is running Google Wallet. Some e-commerce systems can be tied to your account various bank cards, which makes it conduct a transaction. Now the chance appears and users of the service Google Wallet. After the August upgrade, you can link your account with Google Wallet cards of all three major payment systems; MasterCard, Visa and American Express. Usually a serious concern for users electronic money cause security issues relating to confidential financial information, in particular – the data integrity of bank cards. If previously requested this information be placed in a protected area of memory of the phone (which, in principle, may facilitate unauthorized access to the data), now with the transition of service to the “cloud” technology information will be encrypted and stored in Google servers.